fromTheMostImportantNews: If LibertyPen's flame is extinguished, you will know why. fromGlobalWarmingPolicyForum: Since Mr Trump walked out of the Paris agreement one year ago, it has been fascinating to watch the decline of media interest in “saving the planet”. fromTheDailyCaller: If there was any doubt about the political motivation of Comey, it was removed by his rhetoric following his ouster, clothed in talk of FBI independence and ethics, but revealing raging anti-Trump animus. fromTheInquisitr: The Koch campaign might force other Republicans to reconsider their fiscal positions and publicly denounce Trump tariffs in an effort to connect with voters. fromHussmanFunds: The constant creation of low-grade debt in order to finance consumption and income shortfalls among some members of the economy, using the massive surpluses earned by other members of the economy. fromARSTecnica: Thanks to the Supreme Court doing its job, the federal ban on sports betting has been overturned. Individuals can now command their assets. Now, let's dispel the popular myths. fromTownhall: Mob mentality, group identity, and groupthink - actions that individuals take when under the influence of a group, do irrational things not in their individual best interest. fromCreators: The constitutions of many totalitarian countries pay lip service to free speech, privacy and due process, but none has the strict separation of powers that the U.S. does. fromLibertyPen/YouTube: Government proclaimed marijuana "demon weed" until they found a formula to profit. 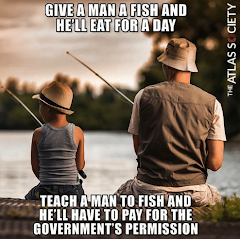 When people voted liberty, government wasted no time to exploit the new revenue source. 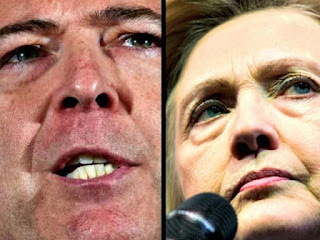 fromLibertyPen/YouTube: The fall from America's top cop to America's dirtiest cop. Everything you wanted to know about James Comey but were afraid to ask. fromCreators: The fall from America's top cop to America's dirtiest cop. Everything you wanted to know about James Comey but were afraid to ask. fromYahooNews: A police officer has been suspended after a gruesome video was uploaded to Facebook showing him repeatedly smash a handcuffed man's head into the floor until he fell unconscious. fromTheFreeThoughtProject: State lawmakers believe parents who homeschool their children are more likely to become child abusers and should be subjected to involuntary home visits to prove they are acceptable parents. fromReason: The FBI and Justice Department lost credibility a long time ago. fromTheHill: Politics is no place for a man of principle. fromLibertyPen/YouTube: From Tucker Carlson Tonight, the Nunes memo detailing how the FBI deployed a fake dossier to obtain a FISA warrant to spy on an opposition presidential campaign is dissected and discussed. fromNationalCenterForPublicPolicyReasearch: Left-wing racism on display for all to see. fromNYTimes: A frightening look into the state of China's surveillance system. fromNationalReview: ‘Markets work,’ say conservatives, but why and how? fromLibertyPen/YouTube: Devin Nunes explains the memo he released which details how a fake dossier paid for by the Clinton campaign was deployed by the FBI as a pretense to obtain permission to spy on the Trump campaign. fromReason: FSMA will put many small farmers out of business. fromReason: The 18th Amendment was ratified, extending an existing ban on liquor passed during World War I.
fromZeroHedge: Who's the bad guy now? Badges used as license to steal. fromLATimes: Battling treacherous office chairs and aching backs, aging cops and firefighters miss years of work and collect twice the pay. from LibertyPen/YouTube: Evidence is mounting that the FBI is in reality a weaponized political force for the Deep State, not an impartial information-gathering law enforcement agency. from TravelZoo: Including California. Terrorists rack up another victory over American liberty. They have now succeeded in damaging America's freedom to travel, with the compliance of authoritarian U.S. bureaucrats. from Creators: From the incomparable Walter E Williams. Customs, traditions and moral values have been discarded without an appreciation for the role they played in creating a civilized society, and now we're paying the price. from Creators: A John Stossel column. The rules, like demands for licensing of florists, moving companies, hair dressers, tour guides, etc., are passed by politicians. But often these politicians are in cahoots with owners of established businesses. from Creators: The future in monitoring human livestock. Coming to tyranny near you. Authorities showed a BBC reporter that they could use the system to identify and apprehend him in seven minutes. from NationalPrioritiesProject: The $66 billion in war funding represents the permanence of the wars that began 16 years ago in Iraq and Afghanistan, with no end in sight. from USA Today: No pay for play? Funny how once she lost the election, donations to the Clinton Foundation completely dried up. Finally, a serious look into corruption surrounding the Clinton Foundation. from Creators: From Judge Napolitano: "This is all about power and the fiction of universal jurisdiction — a fiction the Framers thought they had buried. It needs to be buried again." from Creators: We've fought in Afghanistan for 16 years now. Are we making progress? After 9/11, we invaded, overthrew the Taliban, killed Osama Bin Laden and — stayed. Afghanistan is now America's longest war, ever. President Trump's solution is to send several thousand more soldiers. Erik Prince says he has a better idea. from TheFreeThoughtProject: In America, police can legally break into your home and steal your property even if you are innocent, a practice is known as civil asset forfeiture. However, in the video below, a cop was arrested because he did not receive approval from his superiors before stealing from an innocent person. from Wired: The Chinese government plans to launch its Social Credit System in 2020. The aim? To judge the trustworthiness – or otherwise – of its 1.3 billion residents. Could this be coming to country near you? from LibertyPen: The FBI confirms that James Comey drafted his public statement about the results of the Hillary Clinton investigation months before it was completed. Dozens of witnesses had not yet been questioned, including Hillary herself.